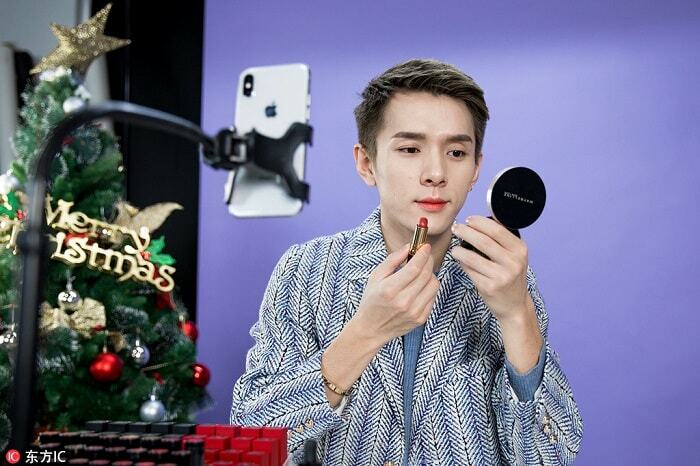 Chinese male beauty blogger Li Jiaqi, a post-1990 generation online celebrity who livestreams reviews of lipstick on Alibaba's e-commerce platform Taobao, earned more than 10 million yuan ($1.53 million) over the past year. 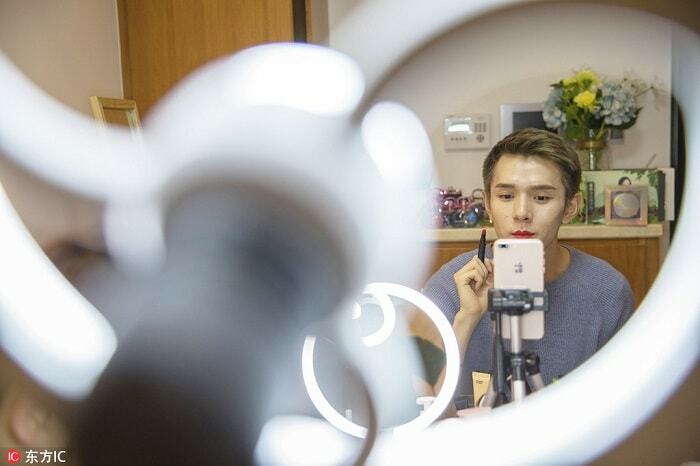 Dubbed "Taobao's king of lipstick", Li needs to test more than 300 types of lipstick on his lips every day during a seven-hour live broadcast, taking no breaks except to drink water or go to the bathroom. "Many people question me, believing men do not have enough expertise to recommend female beauty products," Li said. But he believes he has advantages in this field. While many women may find their lips hurt after testing three lipsticks in a row, he can test as many as 380 lipsticks a day. 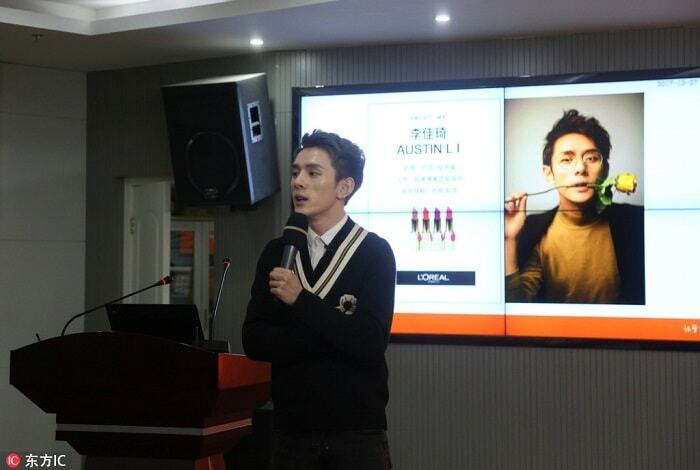 "Testing lipstick can damage the lips, but I do not treat my lips as lips," Li said. Therefore, his fans have given him the nickname "iron-lipped brother". In Li's eyes, helping his fans to buy the most suitable products at the lowest cost is the best part of his job. In addition, sometimes he would ask companies to give coupons to his fans. 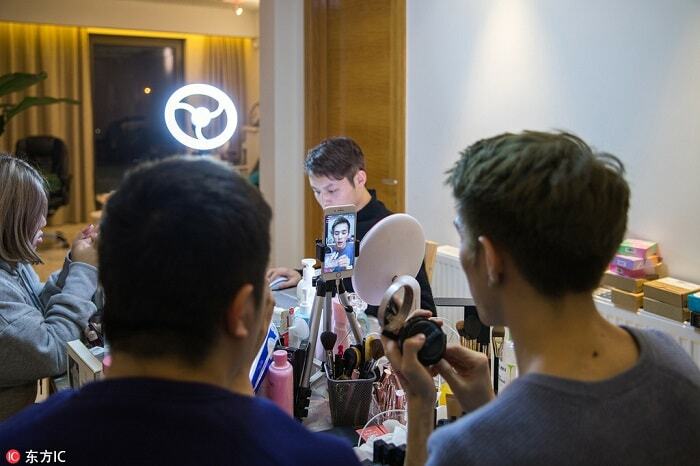 Arranging a live broadcast of beauty product reviews on Taobao cannot be done by Li alone. He has a team of several assistants working for him. Some are in charge of communicating with Taobao shops, while others assist him on livestreaming. 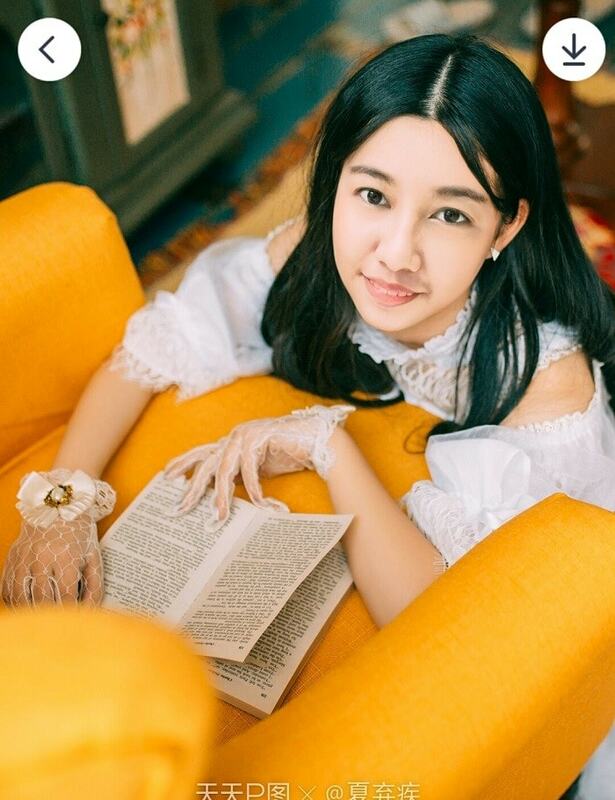 At the end of last year, Li was hired as the new media practices instructor at Jiangsu Normal University to open a course called Taobao Writing and Communications. Wow! That is so cool! He tests 380 lipstick in a day? That's crazy! And earning $1.53 million - how awesome! Yeah, and many ladies trust his recommendation! That’s really taking it to the next level!! I am really impressed with his dedication to the work! I want to be a lipstick queen! Copyright 2018 Blair Villanueva. Powered by Blogger.